FALCON LIFTS has just delivered 3 new FALCON SPIDER lifts to Height for Hire rental company. We have delivered 3 units of FALCON SPIDERs to the famous rental company in Great Britain. Among the units delivered is the new FALCON FS 330Z Vario with variable crawler section which ensures that the lift drives in a vertical position on uneven surfaces such as stairs, slopes etc. The FALCON has 33 meter working height, built on crawler chassis, with the amazing 19 meters outreach. 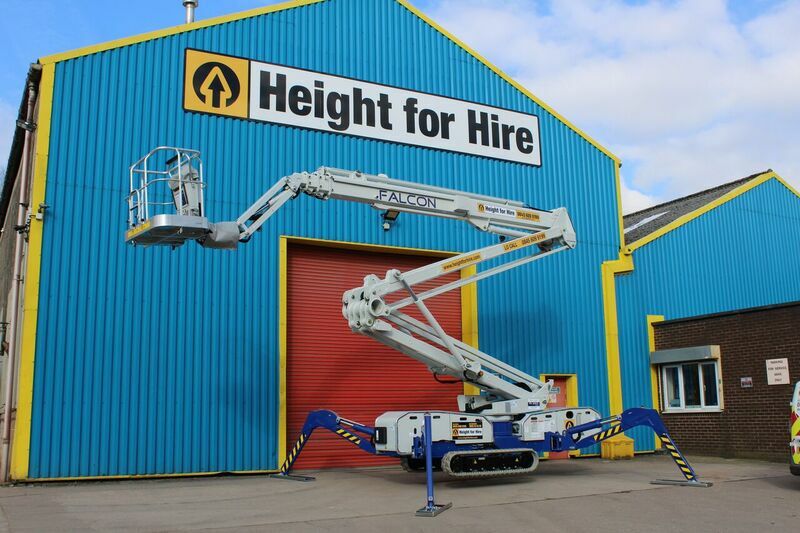 “We are very proud to have Height for Hire as our customer, and we want to thank Height for Hire for the good corporation through many years. Still, the best reference you can have as a manufacturer is when a large customer, such as Height for Hire, continues to place orders”, Brian Falck Schmidt, Sales Director at FALCON LIFTS says. “We are working on the philosophy not only to sell one single unit, but to create customer relations, in order for us to cooperate and to develop together with the customer”, Brian Falck Schmidt continues. 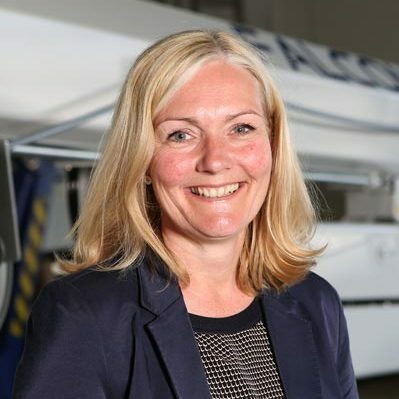 “We would like to make innovative equipment, which is able to help our customers to work better and smarter, and built up on safety”. Due to customer cooperation and enquiry, all 3 FALCONs delivered are equipped with the new FALCON option, the Anti Entrapment System in the basket. The Anti Entrapment System prevents the operator being pressed in the basket by an outside coming obstacle. If the operator should be pressed towards the Anti Entrapment System the FALCON will not only stop but also turn back to the latest position/movement, which ensures that the operator is being released from the pressure. The Falcon Anti Entrapment System is an option to all Falcon basket sizes, and can also be mounted on previous Falcon models.